An eleven-year-old Japanese girl went out alone at about 4PM last Saturday to walk her dog. Her dog returned home alone about forty-minutes later. Of course her parents were worried sick and called the police when they couldn’t find her after two hours of searching. The search for the child has been on the TV news since then. But finally good news…the girl had been lost but she showed up safe at a 交番 (police “box”) about 20km from her house early this morning! 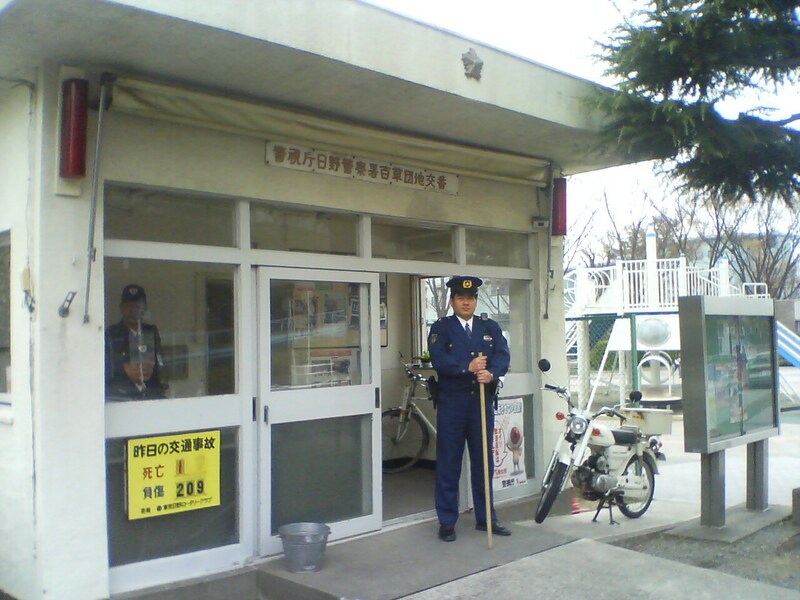 A Japanese 交番 (police box). Were all of these news stories in your country? What was the biggest news of 2013 where you live? I wrote a post about three years ago comparing Japanese and American schools. Well, the Washington Post newspaper wrote an article fairly recently about Japanese 給食 (school lunches). 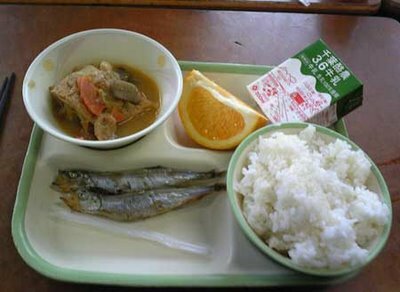 Basically, it says that school lunches in Japanese schools are healthy and delicious. They are like home cooked meals made with locally grown ingredients, unlike the fast-food type of lunches that I ate in schools in America. Also, the students serve the food to each other in Japanese schools. having raised three kids in Japan, I know that students in Japan eat proper food in school. Unlike down here in Tokyo, where the weather has been very mild recently…there was a snow blizzard in northern Japan a couple of days ago. I watched a heartbreaking story related to the storm on the television news here in Japan yesterday. A nine-year-old girl has been found weeping in her father’s arms after he froze to death sheltering her from a blizzard in northern Japan, it has emerged. Mr. Mikio Okada died as he tried to protect his only child, Natsune, against winds of up to 109 kilometers (68 miles) per hour, as temperatures plunged to -6°C (21°F). Mr. Okada’s body was uncovered by rescuers looking for the pair after relatives raised the alarm. Natsune was wearing her father’s jacket and was wrapped in his arms, newspapers and broadcasters said. The pair had last been heard from at 4PM on Saturday, after Mr. Okada, a fisherman, picked his daughter up from a school where she was being looked after while he was at work. Mr. Okada called his relatives to say his truck had become stranded in the driving snow, which was several meters deep in places. He told them he and Natsune would walk the remaining kilometer. The two were found just 300 meters from the truck at 7 am on Sunday. Mr. Okada was hunched over his daughter, cradling her in his arms and apparently using his body and a warehouse wall to provide shelter. He had taken his jacket off to give to his child. Rescuers said she was weeping weakly in his arms. The young girl was taken to hospital where she was found to have no serious injuries. Her father was officially pronounced dead by doctors at the same institution near their home at Yubetsu in Hokkaido. Natsune’s mother had died two years ago from an unspecified illness. Neighbors said that Mr. Okada had been a doting father who would often delay the start of his working day to enjoy breakfast with his daughter. His death came as families all over Japan celebrated Girls’ Day. “He reserved a cake for his only daughter and was looking forward to celebrating Girls Day together,” a neighbor told the “Yomiuri-Shinbun” newspaper. Are dogs more humane than us? In the news recently there have been stories about parents killing their own children, an American woman who let her ten-year old son get a tattoo, a nurse in Japan who enjoyed torturing her patients, a ship’s captain in Italy who abandoned the ship he crashed while his passengers were stranded on board to die, and other terrible stories about people mistreating other people who they were supposed to help and protect. Of course, there are stories about people who act honorably too. The Italian Coast Guard officer who berated the aforementioned captain is one recent example. But there were another two stories in the news recently too. A dog in Australia and another one in Korea risked their own lives to save their respective families. In Australia, a family with two daughters aged two and seven had a pet dog that loved the children. 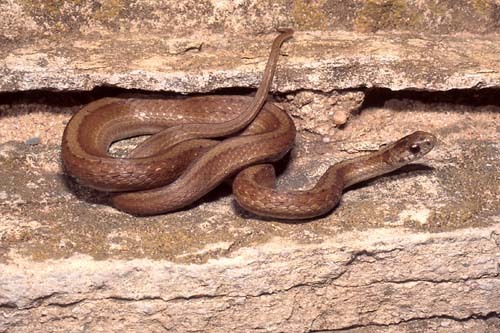 One day last week, the two girls were in their backyard with the dog playing…but there was a very deadly Brown Snake there too! The girls didn’t notice the snake, but the snake noticed them and it wasn’t pleased by their presence. Just as the snake coiled to attack the girls, the dog saw the snake and didn’t hesitate to protect the girls. The dog jumped on the snake and killed it…but not before the snake bit the dog. The dog was rushed to the veterinarian to receive anti-venom treatment and is expected to recover…and will be get a “hero’s welcome” when he returns to his home. The puppy in Korea was hiking with his elderly owner in the cold Korean winter last week when the old man slipped and fell. He was knocked unconscious and would have frozen to death by the time his family found him…by his dog laid on top of him and keep him alive with his own body heat. The young dog nearly froze to death himself to save his owner. These dogs acted more humanly than some humans do. Tags: america, dog, hero, Italy, Japan, News, snake, Tokyo, U.S., U.S.A.